As I’ve been busily harvesting Harry Craddock’s “The Savoy Cocktail Book” for cocktails, I’ve managed to ignore a number of holidays and special events, including Valentine’s Day, the Super Bowl and, I suppose now, my personal Super Bowl, Oscar night. However, all of those occur every year. Leap Year is obviously a different story. It would have been an act of sheer idiocy to have ignored Craddock’s Leap Year Cocktail, and the embarrassing truth is that’s very nearly what happened. I’m glad to say, I re-stumbled over the drink in the nick of time, and it’s as good a way as any to wrap up this series of Craddockian posts. In any case, as we are told, the Leap Year Cocktail was invented by Mr. Craddock for celebrations held at London’s Savoy Hotel on February 29th, 1928. 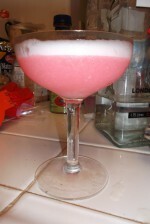 Craddock claims a large number of marriage proposals were associated with the drink. That might be impressive until you remember, as numerous other cocktail bloggers have already pointed out, that 2/29 was traditionally the only day when it was once considered appropriate for a woman to propose a marriage to a man, rather than vice versa. Of course, we’re sorta kinda almost beyond a lot of those outdated gender roles, and women are now free to risk the humiliation of a rejected proposal. So, I suppose, Leap Year in the here and now doesn’t mean much more than getting an additional day to get our taxes ready. As for the recipe Craddock debuted 88 years ago this Monday, it’s definitely not bad, but I’m not going to get married to it. Combine the liquid ingredients in a cocktail shaker, shake vigorously and strain into a chilled cocktail glass. Add your lemon peel garnish. Craddock wrote that you should “squeeze your lemon peel on top,” but I’m not sure what that means. You can do the traditional lemon twist thing instead, if you like. 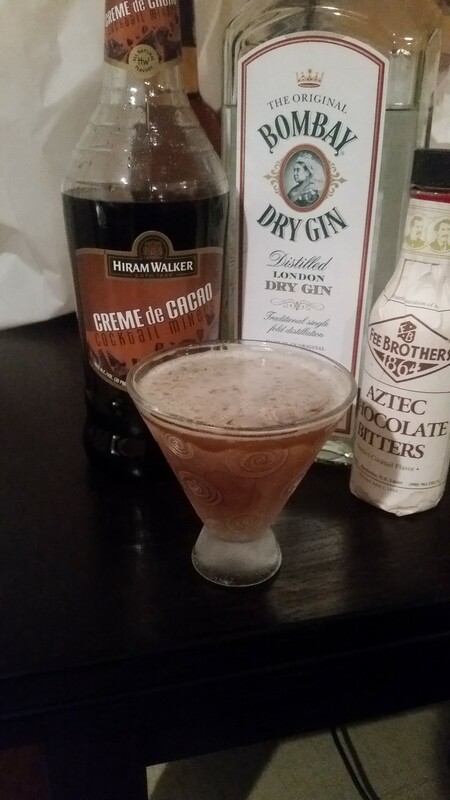 I tried this drink with a number of gins and a few different sweet vermouths. There’s only one type of Grand Marnier, though. If I had more time, I might have tried this with another orange liqueur like triple sec and/or Cointreau. Such gins as Bombay Dry, Plymouth and Gilbey’s all worked fine; the result was pretty consistently floral and bittersweet, a decent combination that, even so, failed to knock my socks off. I noticed a marked improvement when I switched up my vermouth from Martini and Dolin’s and went with wonderfully bittersweet Carpano Antica, which blended more harmoniously with the bittersweet flavors in the Grand Marnier. I’m not sure if that version of the Leap Year Cocktail was worth a marriage proposal, but it certainly wasn’t a bad proposition. 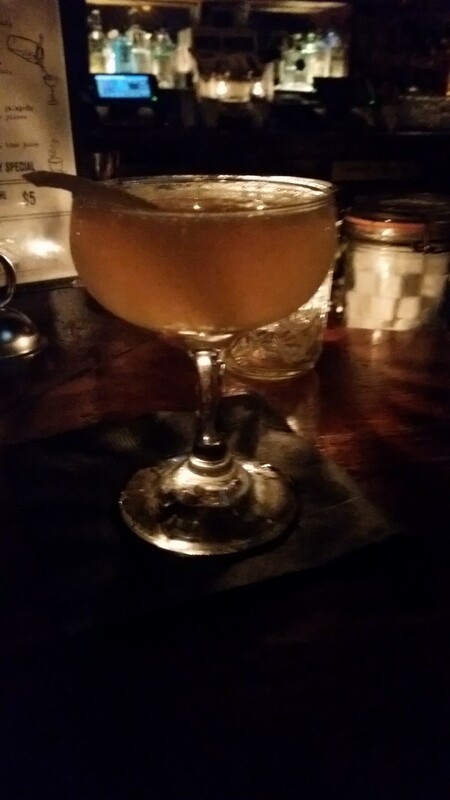 Today’s drink is very possibly the most obscure cocktail yet that we’ve explored from Harry Craddock’s post-prohibition classic, “The Savoy Cocktail Book,” and I sense that most of the people who care about such matters would say it’s obscure for a reason. In fact, they would probably agree that the Poppy Cocktail, which contains no poppy or poultry products, is nevertheless pure poppycock. Here’s the thing: cocktalians may occasionally be alcoholics, but they are rarely chocoholics. I, however, love chocolate. In fact, I’m having some right now. So, when I stumbled over a chocolate flavored drink that, lacking any heavy cream or non-liqueur sweetener, was actually also not horrifically fattening, I was not easily dissuaded. Nevertheless, I had to reluctantly agree that, as written, the original recipe — two parts gin, one part creme de cacao — was simply bleh, lacking any backbone. Still, perseverance payed off and I figured out a way to make it pretty darn good with just a dash of the right product. I’m sure many of you might have already guessed where I’m taking this, but let’s get started anyway. Combine the ingredients in a cocktail shaker with plenty of ice. Shake vigorously and strain into a chilled cocktail glass. Say a silent prayer of thanks to the Aztecs for using cacao to make, what else, an alcoholic beverage! So, yes, we can’t really blame Harry Craddock for not thinking of using chocolate bitters in his Poppy Cocktail as they were likely not widely available or perhaps were not even really an idea back in 1930. Nevertheless, they are absolutely what’s needed to save the Poppy Cocktail from entering the scrap bin of cocktail history. For one thing, they actually turn this drink into a proper cocktail in the strictest sense because it now contains bitters. Vastly more importantly, they give it the balance it requires to be a decent drink for grown-ups. I often compare bitters to the bass in an audio sound mix. A few year back, I found myself growing vaguely disenchanted with my Yamaha home theater system until I realized I was forgetting to turn on the subwoofer. The sound was tinny and lacking depth without it, but with it, my music and movies sounded just about right. The same is true of a Manhattan, an Old Fashioned and, very definitely, a Poppy Cocktail, when it comes to adding bitters. My bitters, by the way, were Fee Brothers Aztec Chocolate, but I did experiment with plain old Angostura. The cola-esque flavor of the default non-chocolate based bitters didn’t quite hit the bulls-eye, but it was way better than using no bitters at all. I wonder why Harry Craddock didn’t think of that. As for the base spirit, the Improved Poppy Cocktail worked well with Gilbey’s and Bombay Dry Gin, though I’d give a slight edge to the slightly less dry Plymouth Gin. More important was my choice of a creme de cacao which, like creme de menthe, is pretty much just flavoring and alcohol. There’s nothing wrong with my white Gionello’s, but my dark Hiram Walker Creme de Cacao doesn’t only look more chocolatey, it’s tastes that way too. 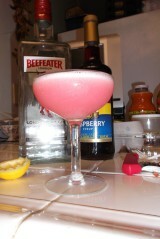 Not surprisingly, it further improved the Poppy Cocktail.